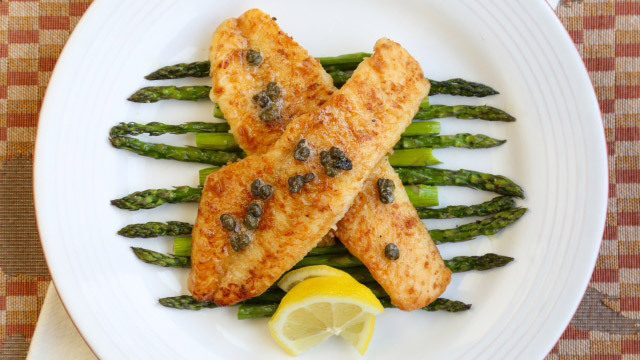 This is a classic French, yet simple way to prepare fish fillets. Called meunière, fish fillets are dredged in milk and flour, browned and then served with lots of brown butter, capers and lemon juice. A mild fish, this treatment adds lots of flavor to the walleye without overwhelming its delicate flesh. This recipe also works great with any other white fish. 1. Rinse walleye with cold water and check for bones. 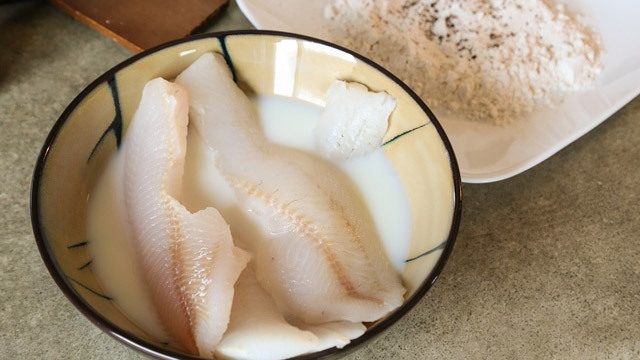 Place fish in a bowl and pour milk over fillets. Pour flour into a dish. 2. In a non-stick skillet, heat 1 tablespoon of butter over medium high heat. Take fish out of the milk and sprinkle with salt and pepper. Dredge fillets with flour, shaking off excess. 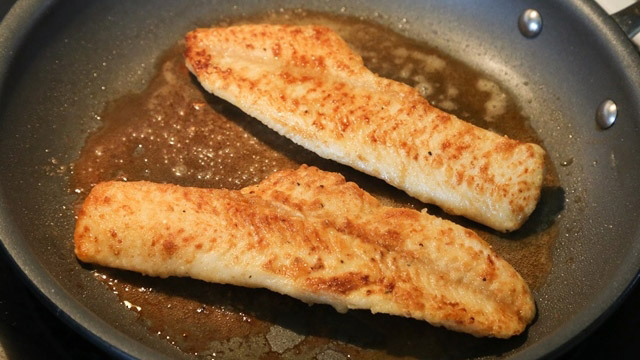 Brown walleye in butter until flaky and browned on both sides; do not crowd the pan and add more butter as necessary. Keep warm. 3. Wipe the skillet clean with a paper towel. Lower heat to medium and add the rest of the butter into the skillet. Swirl the pan around until butter is melted and begins to brown. 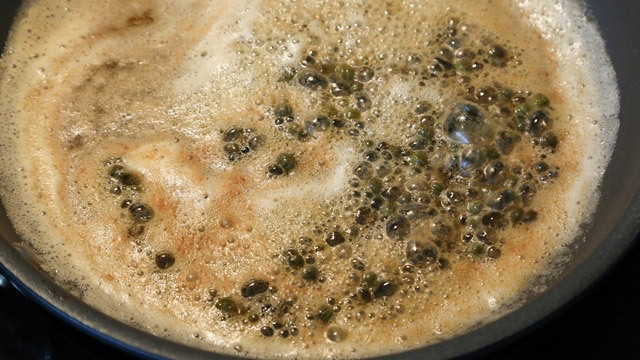 Add drained capers at this time – be careful of splatter. Allow capers to crisp in the butter for a few seconds, but don’t allow butter to burn. You’re looking for a hazelnut brown color. Take off heat and foaming will subside. 4. Drizzle brown butter and capers over fish with a squeeze of lemon. Finish with more salt and pepper if necessary. Serve with extra lemon slices and coleslaw, or your favorite side.